Both Grand Duke Henri and Hereditary Prince Alois are in Prague at the moment where both of them will attend celebrations to mark the 700th birthday of Holy Roman Emperor Charles IV tomorrow. Charles IV, who was born on May 14, 1316, was the second King of Bohemia from the medieval House of Luxembourg, and the first King of Bohemia also to become Holy Roman Emperor. He was the oldest son of John "the Blind" of Bohemia, who is buried at the Cathédral Notre-Dame de Luxembourg. 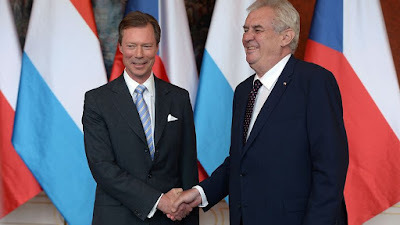 The Luxembourg-Liechtenstein duo already arrived in the Czech Republic today, where both of them met with the President Miloš Zeman two hold bilateral talks. Grand Duke Henri was also awarded with the Charles' Award by the city of Prague and the Charles University. With the award dedicated to Charles VI the city and university honour personalities from the worlds of culture, science and politics. It hasn't been awarded in 14 years. 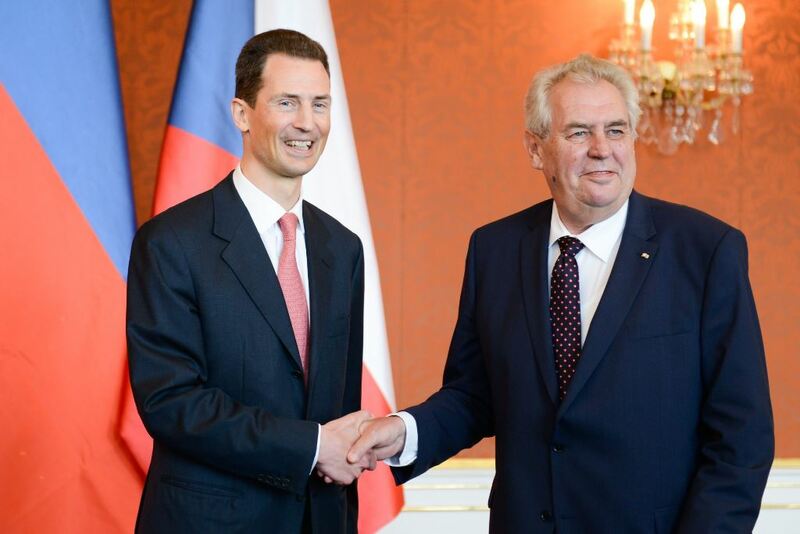 The Grand Duke was given the award to honour the the historical ties between Luxembourg and Bohemia. More information and pictures at Vaterland, Wort, Lidovky, Volksblatt, CTK #1 and CTK #2.